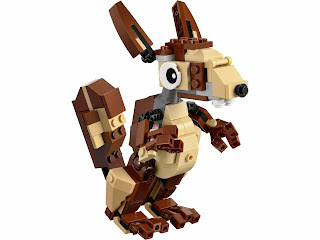 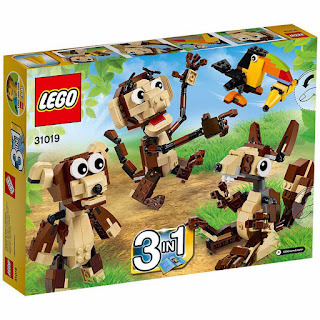 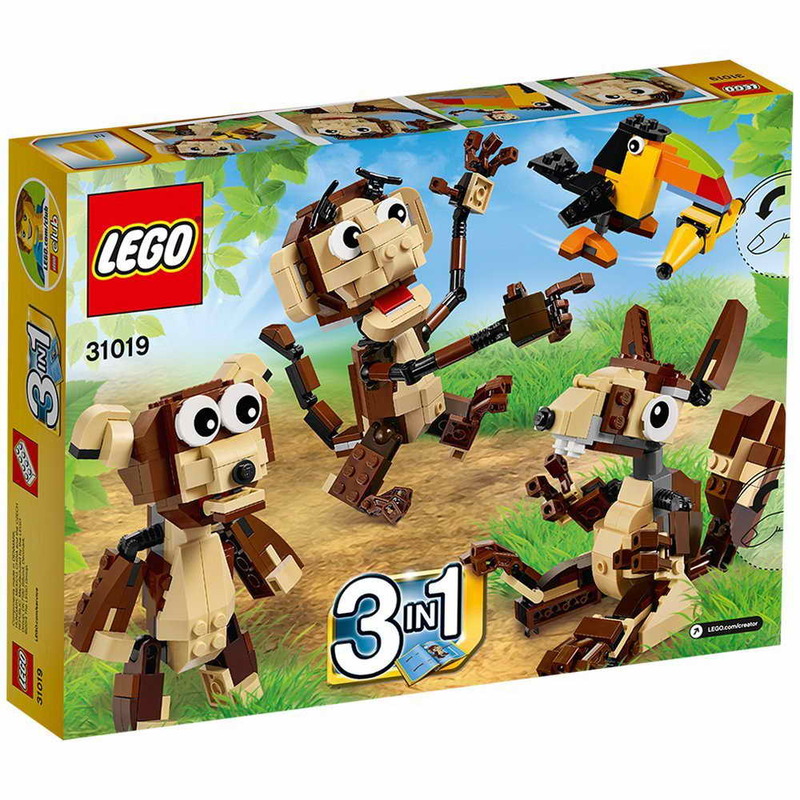 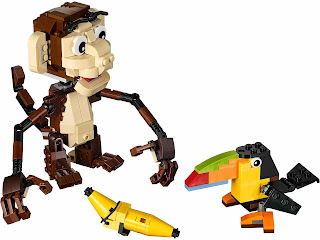 can be built into a monkey, a toucan, a teddy bear and a squirrel. 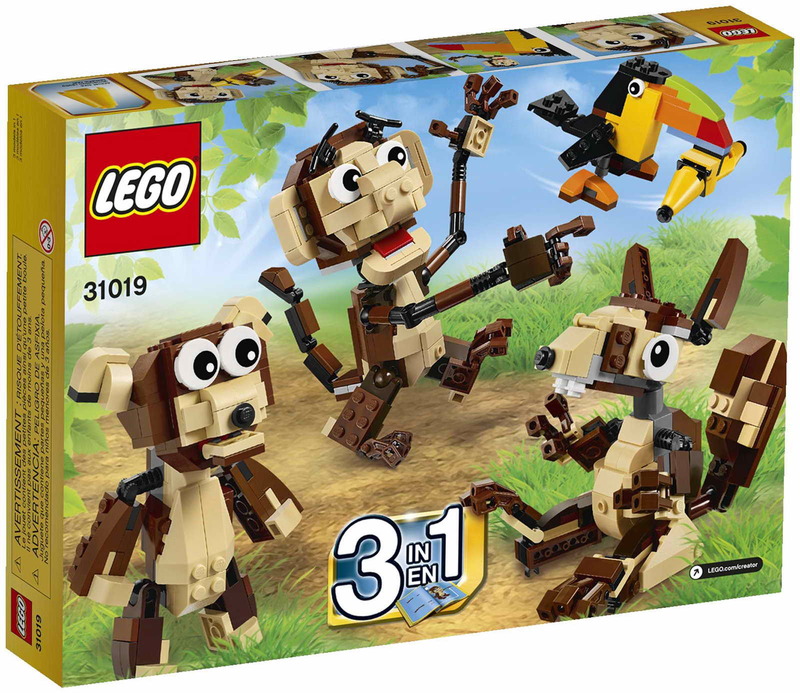 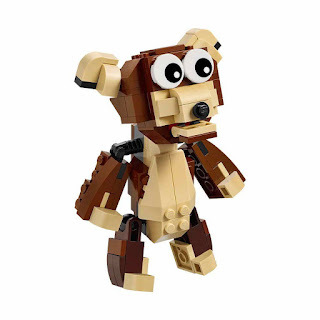 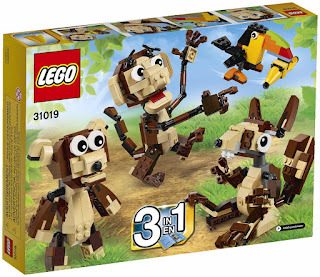 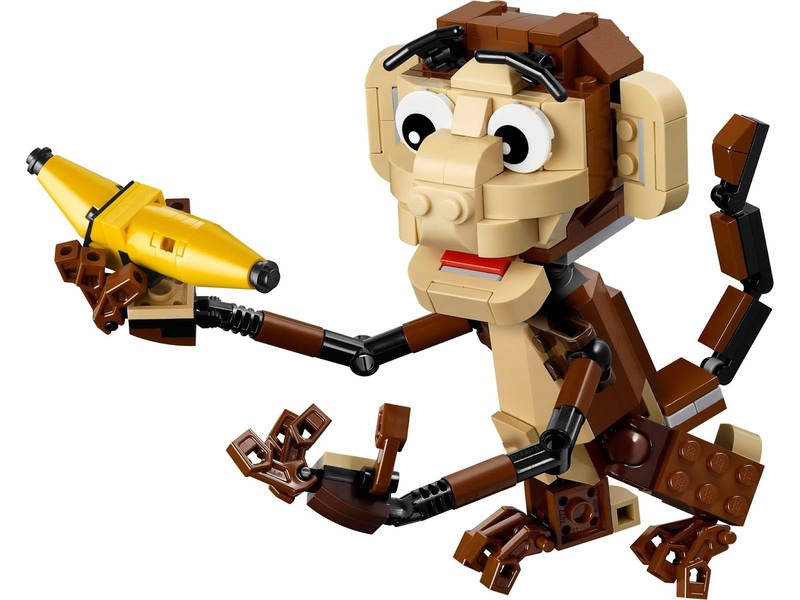 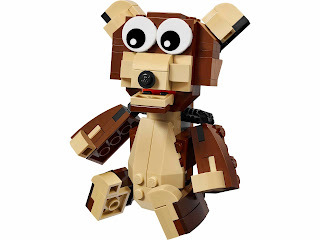 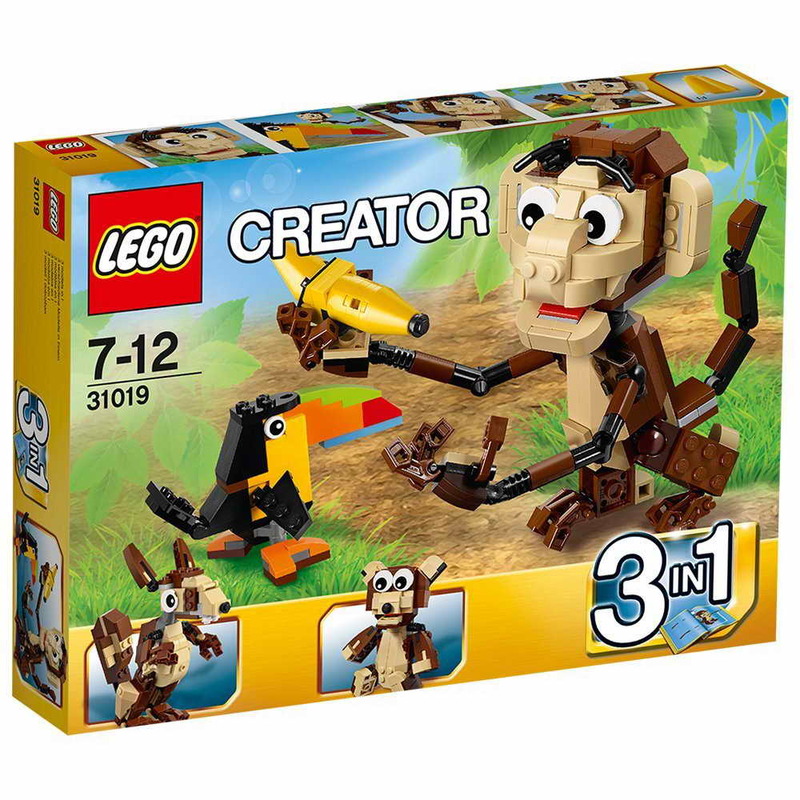 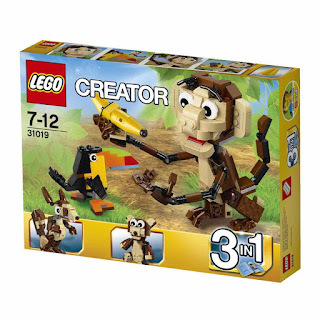 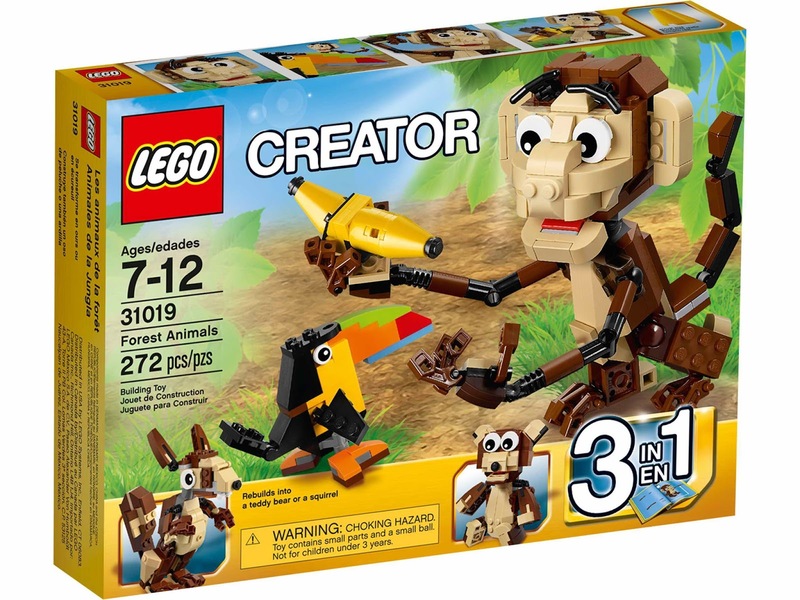 the monkey has an openable mouth, adjustable eyebrows, turnable eyes, poseable arms, legs and a curling tail. 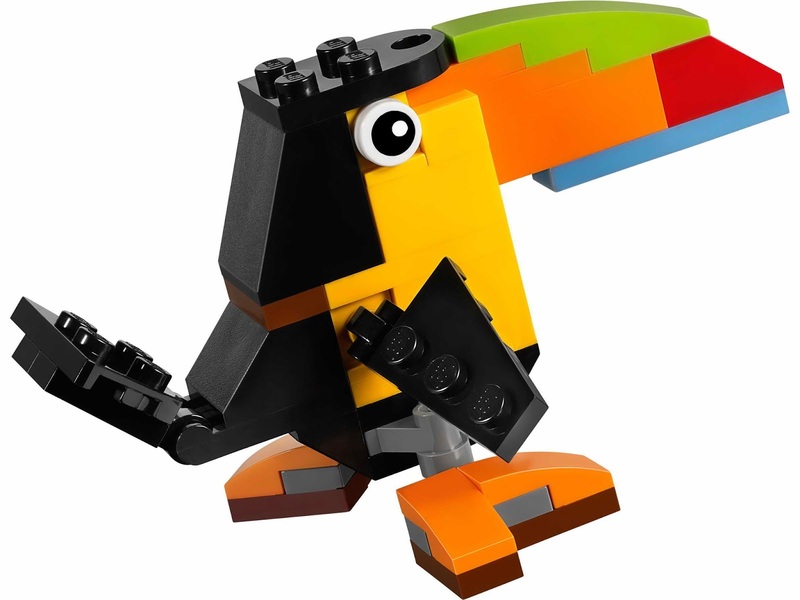 the toucan has a multicolored beak, movable tail and wings. 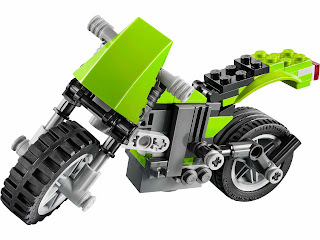 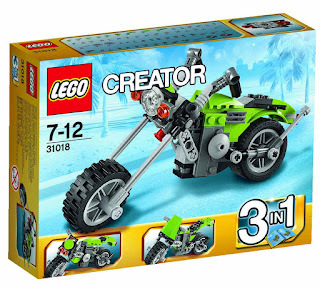 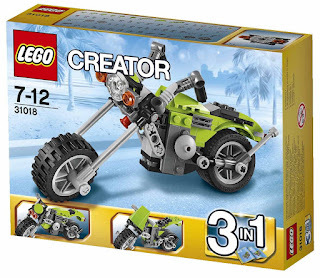 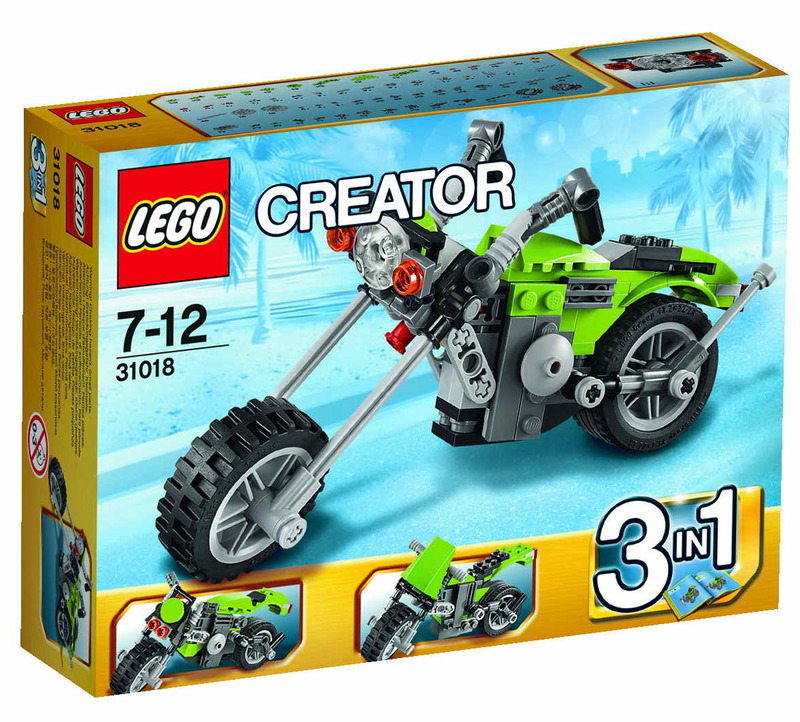 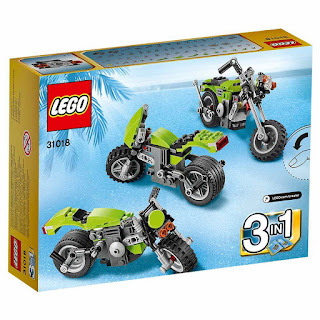 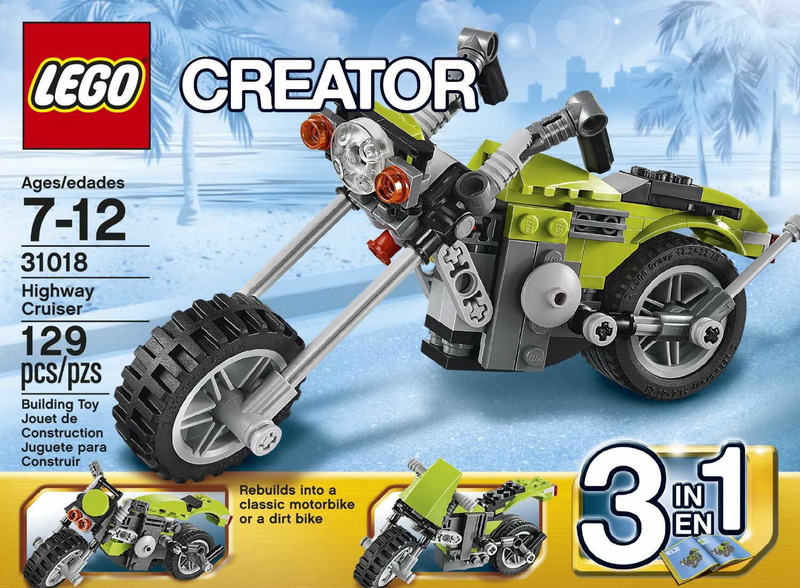 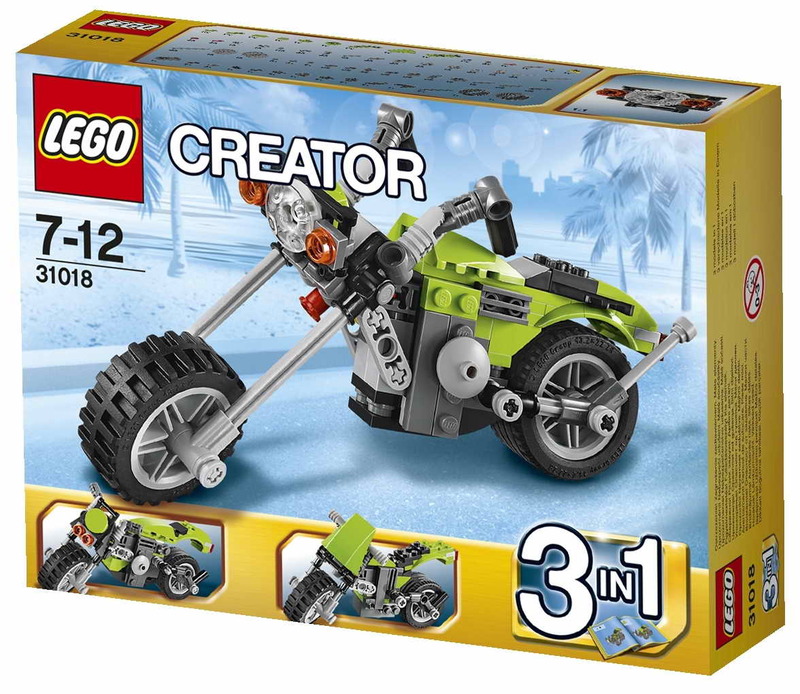 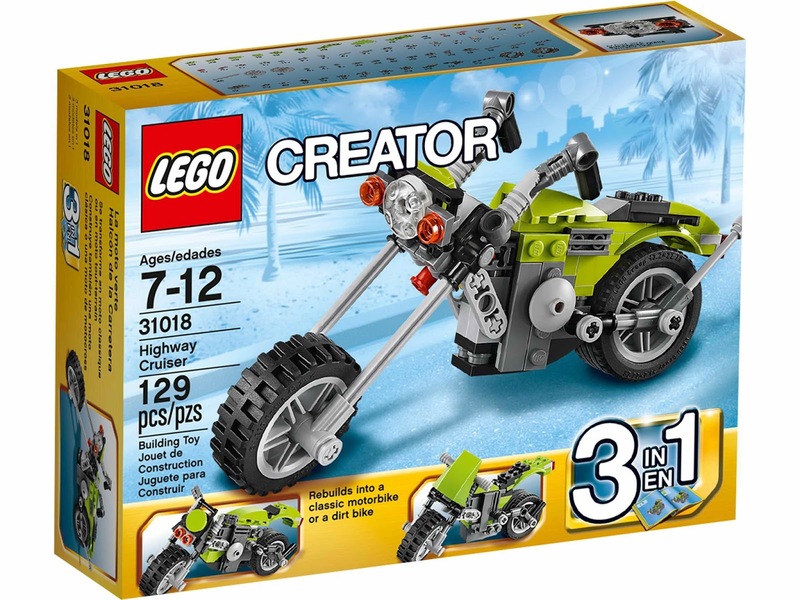 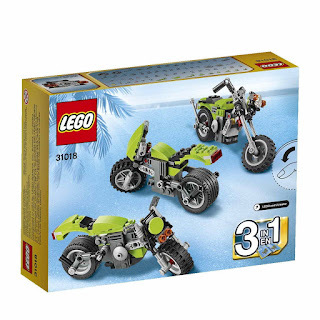 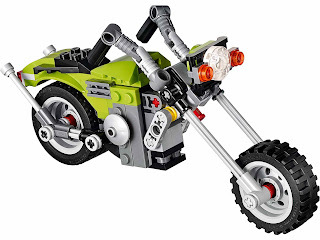 can be built into a chopper style motorcycle, a classic motorbike and a dirt bike. 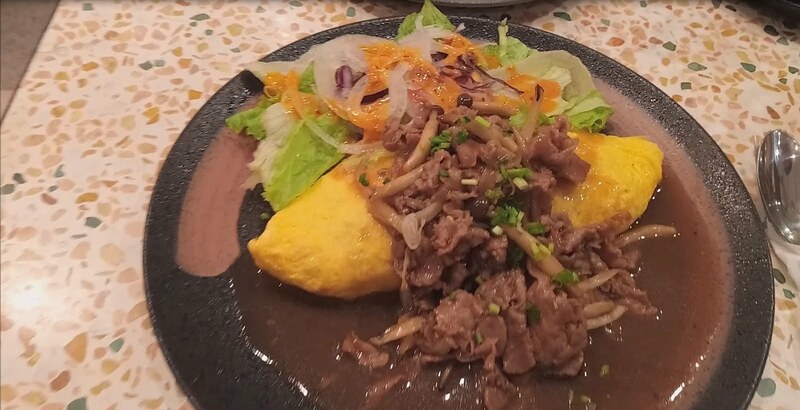 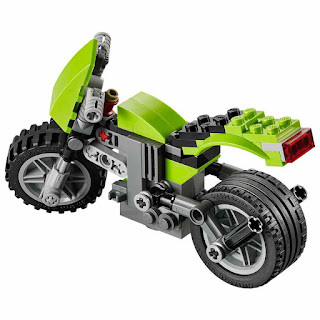 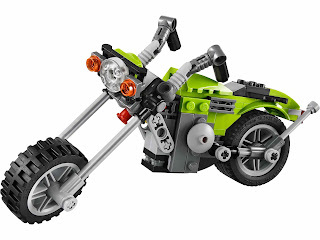 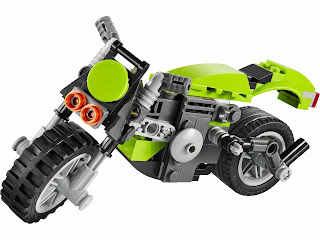 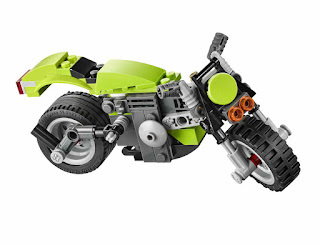 the motorcycle has a realistic engine with angled muffler, a sleek bodywork, twin exhaust pipes and sharply raked front forks.